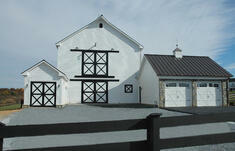 Most barns feature a ladder leading up to the hayloft, but consider installing a type of stairwell instead. 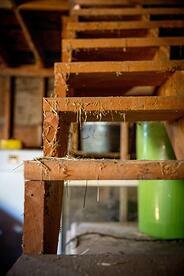 A stairwell makes it easier to carry items up to your hayloft allowing you to better use the space for storage. Additionally, a stairwell is easier to navigate and a bit safer than a ladder is. 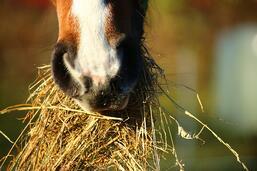 If you’re building a large barn you may not need to fill the entire hayloft with hay. Keep in mind that hay will be loaded through the hayloft door, and it’s convenient to stack hay somewhat close to that door. 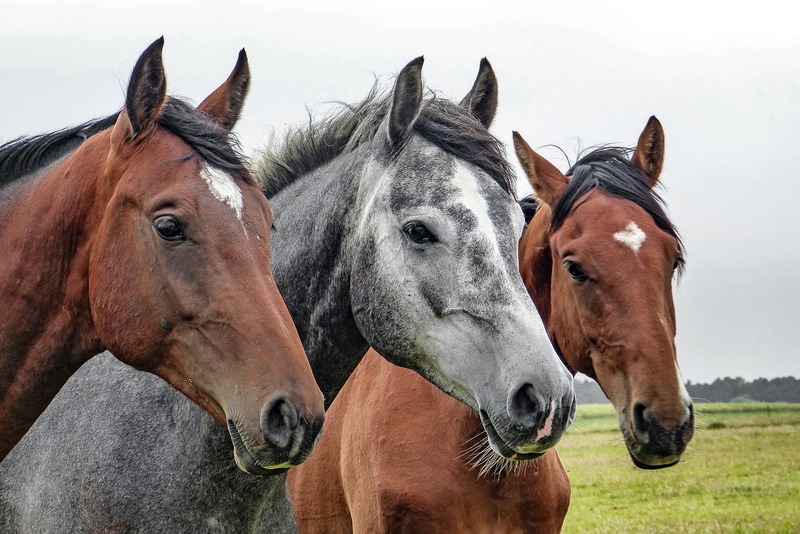 Think about where it will be most helpful to store hay in the loft, and plan to make this area easily accessible for both deliveries and day-to-day use. Some older barns feature hayloft floors which are only partially finished – this is sometimes the case with a large barn, where finishing the floor is an added expense. Try to avoid going this route – a partially finished floor is dangerous and a person could fall through it. While it might cost more to finish the entire floor, this is an investment in your safety and will allow you to fully use the space. It’s important to store hay off of the hayloft floor. 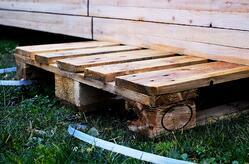 Bring in plenty of wooden pallets so that air can circulate beneath the hay. If you don’t have access to pallets, then build some wooden frames that lift the hay at least 6” off of the ground. When you’re working with a larger barn, it may be most convenient to throw hay in multiple locations or in different ends of the barn. Build in hayloft doors or trap doors in the areas where you will want to throw hay. Installing multiple doors means that you won’t have to carry as much hay through the bottom floor of the barn, saving you time and aggravation during busy hours at the barn.Classic Equine Equipment offers a variety of loft doors both in standard and custom sizes, offered in both sliding or hinged. Lastly, leave a wheelbarrow or hay cart in the hayloft so you can easily transport bales throughout the loft. With a little attention to design, you can ensure that your hayloft makes feeding and transporting easy!